This year marked my 4th with the Weston Craft Show. The show is held at the super-funky Weston Playhouse. All three floors of the building are used by artists to present their work – every nook and cranny is used. Most of the aforementioned crannies are bedrooms used by the playhouse’s resident actors during the summer months. After the last three years, it seems I have earned the title of Last One to Set Up. I always try to get there earlier in the day, but it just never seems to happen. I was happy that I had the same booth as last year – I figured that this would make set up go faster. Mmm, no. The fact is that I’m just slow with set up when it’s late. Boo. Welcome to Elissa’s booth set up in three pictures. Yeah, I was up until 1:00 a.m. setting up. I was one tired monkey, but I got ‘er done. I was so psyched to be reunited with my roomie from last year, Julia Emilo (she makes gourd ornaments). She is so.much.fun. I would like to put her in my pocket and take her to all of my shows to be my booth neighbor. It would be awesome. For me, at least. Here I present evidence of Julia’s coolness. On the first day of the show, she offered me a silver standard poodle ornament, an homage to my sweet Wiggum. What?!? A silver tripawd standard poodle ornament! This woman is just beyond cool. That’s totally Wiggum in gourd form. I adore it. I love the Weston show so much. Everyone is super-friendly – it’s like being in a hug for three days. And I know I mentioned it last year, but I have to say it again – Cookie Time. Every day at 2:00 p.m. The only thing that would make it better is if they had a nap room. And then next thing you know, it’s all over. Sadness. Thankfully, breaking down and packing up goes much faster than setting up. Thanks Weston for another great show – see you next year! The day after I visited the Northampton Book and Book Arts Fair, I headed out to the Montague Book Mill, a fantastic book store that I frequented when I was in graduate school. My route took me through Easthampton, MA and I came across the Cottage Street Studios. It took me a while to realize the fact that I had been there before. The building houses the Garage Annex School, founded by Daniel Kelm. I attended two workshops there, one with Hedi Kyle (Stationery Departures) in 2005 and another with Julie Chen (Artists’ Books: Ideas, Actions, & Transformations) in 2008. A sign out front announced that there was an open studio event that day. I wasn’t planning on stopping until I saw Peter Geraty’s (Praxis Bindery) name on the building. I finally decided to pull over and check it out. The building has an interesting history. It was built in 1859 and operated as a water-powered mill until the mid-seventies. In 1976, the building was sold to Riverside Industries for $1.00. Riverside offers a range of services to adults with developmental disabilities. More than 80 artists now have studios in the building, with Riverside as their landlord. It turns out that there are quite a few bookbinders with studios in the building, including Sarah Creighton, Stephanie Gibbs, and Mark Tomlinson. None of them were open for the tour. And sadly, Peter Geraty’s studio was not open either. I decided to explore the building anyway. The tour had awesome letterpress signage to help guide you through the building (which was massive). You walk through long hallways to get to the various studios. It was an adventure! I made my way up to the fifth floor and discovered the letterpress studio of Bill Muller – Big Wheel Press. It.was.huge. And clean! His studio could eat my studio many times over. I have no idea how he got all of the heavy equipment up there. I’m not sure what all of those machines do, but I want them. I bought this awesome broadside – it was in a pile of seconds. It was trimmed funky (the others didn’t look like this one). It had to be mine. I’m looking forward to getting it framed and hanging in my studio! 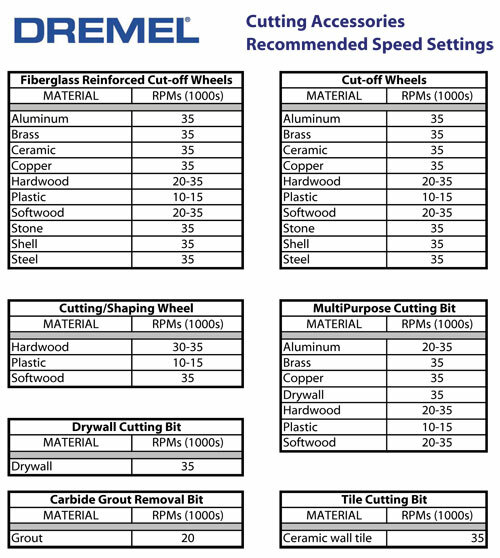 I’m frequently asked about the Dremel speed one should use on a particular material. 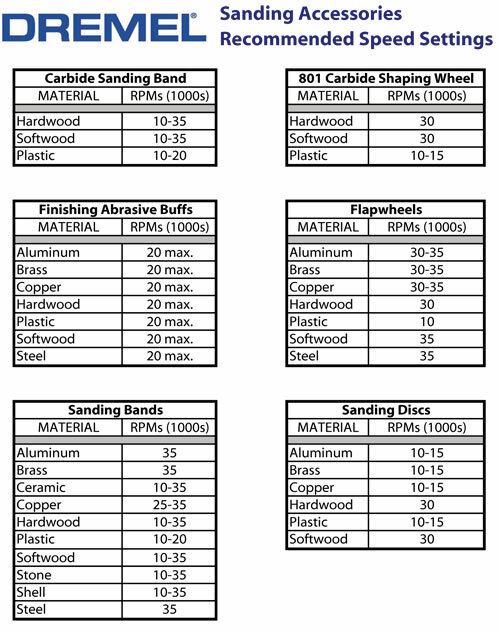 It’s tough for me to know all of the possible accessory/speed/material combinations, as I haven’t tried them all. 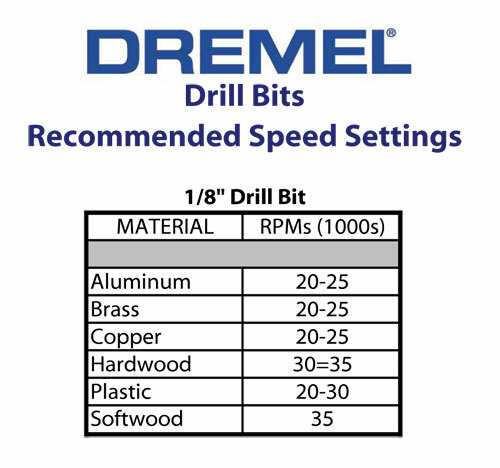 Thankfully, I found an excellent resource that holds the answers – a series of charts that includes the recommended speed settings for specific Dremel bits when in use with specific materials (aluminum, brass, ceramic, copper, glass, hardwood, plastic, shell, softwood, steel, and stone). Vermont’s 5th Fall Open Studio Weekend is just a week away (October 3 & 4)! If you’re planning on visiting my studio (and why wouldn’t you? ), you can visit other great artists within a 20-ish minute drive of here. Hopefully the foliage will cooperate and be tour-worthy! There are 7 studios/galleries participating in the Central Vermont area. Artists are offering exhibits and demonstrations of pottery, ironwork, painting, etching, and more. #88 – Blackthorne Forge/Steven C. Bronstein: Functional and sculptural, contemporary ironwork. #90 – Artisans Hand, Vermont State Craft Center: Contemporary Vermont crafts, jewelry, photography. #91 – Ray Brown: Landscape inspired abstract compositions. #92 – Susan Bull Riley: Classical paintings, oils and watercolors of botanicals, birds, and landscapes. 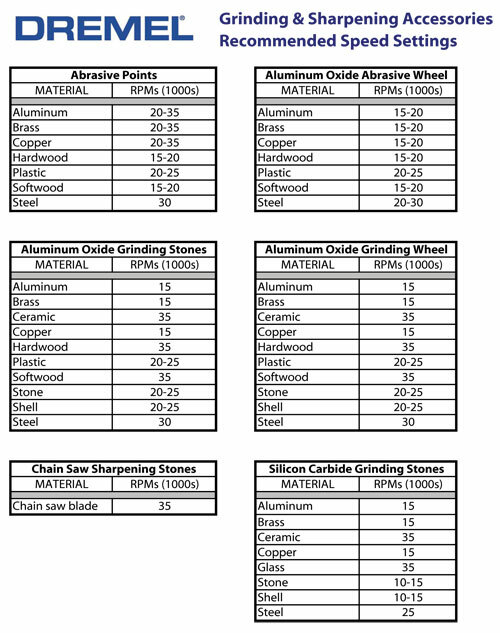 #93 – Kingfisher Forge/Chris Eaton: Blacksmith studio and hardware shop. #94 – Flint Brook Pottery/Deborah Van Ness: Handthrown, functional stoneware pottery. I created the map below to help you plan your travels. Because the studios are so close to each other, you can visit quite a few of them within a short period of time. Welcome the third in my series of blog posts about ways to plan your Open Studio Weekend tour. In this post I listed the book arts studios I’d visit if I were touring this weekend. Of course, I would also visit studios by artists working in other media. The batch of studios listed below belong to my fellow board members of the Vermont Crafts Council. These are some hardworking folks, volunteering their time for a great organization and creating fantastic work. I’ll be referring to studios by both name and number – the number refers to a listing in the green Vermont Studio Tour Guide 2015. The colors of the studio numbers in this post match the colored markers in the Google map below. Starting from the south, my first stop would be #64, Jessica Putnam-Phillips of Battenkill River Pottery. She creates hand carved functional and decorative ceramics. Her history as a military intelligence specialist in the US Air Force has had a great influence on her work – she explores the experience of women in the military in the form and content of her work. It’s really fascinating. The next stop on the tour would be studio #76, David Stone of The Potter Stone. He works in porcelain and stoneware and (in his words) “combines both traditional forms with a contemporary spirit”. His work is wheel-thrown and hand-built, functional and decorative. #93, Judith Reilly would be next. Her work is seriously wonderful and Judy is a serious sweetheart (and a good hugger). To consider her a quilter just doesn’t do her justice – she really paints with fabric. In her own words, her pieces “express both realistic and fantastic interpretations in a catawampus and quirky style”. Next comes studio #10, Becca Van Fleet Webb of Two Potters. Becca’s hubby Nathan is the other member of this potter pair. These two worked in ceramics independently before joining forces in both business and in life. While Becca’s work is soft and organic, Nathan’s work is more traditional in style. In addition to the studio tour, Becca and Nathan will be hosting a live band. Very cool. #121, Jim Fecteau of Huntington River Smithy is a self-taught blacksmith. He creates functional and decorative hand-forged metalwork – from gates and screens to clocks and candlesticks. Not only is Jim the current Vice President of the Vermont Crafts Council, but he’s also President of the Green Mountain Blacksmith Association – what a busy guy! 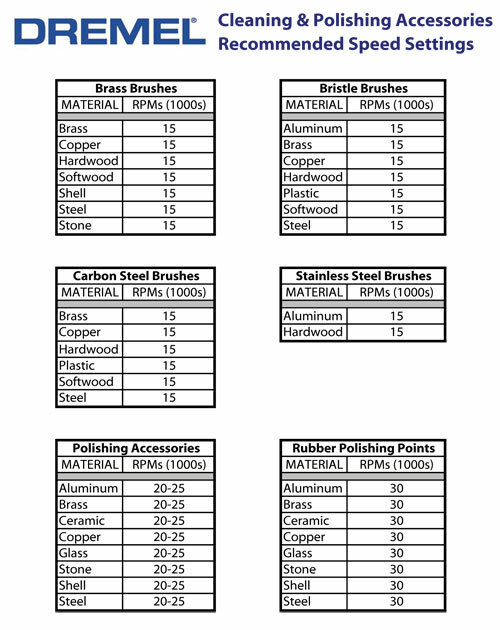 Next I’d visit #151, Greg Drew of Personalwoodsmythe. Greg both a woodturner and a wood sculptor. He has deep respect and love for trees. In his words – “I enjoy helping them express their silent stories and the history they’ve witnessed, forever etched in the patterns, textures, and hues of their timber.” In addition to being a fantastic artist, Greg is the President of the Vermont Crafts Council. Judy Dales, #160, is another master quilter – she has been quilting for over 40 years. Her pieces fully embrace the curved shape, which adds (in her words) a “lyrical, feminine quality to her work”. Judy currently has work on display at the Shelburne Museum – clearly she’s good at what she does. Lastly, I’d visit #174, Sandy Ducharme of Vermont Floorcloths and Fiber Arts. When you visit her, you get two art forms for the price of one – not only does she create hand-painted floor cloths, but she also hand-hooks wool rugs. She has won numerous awards for her work and you can see the care and love that goes into every piece. Overall, these studios aren’t very close to each other. If you split your tour up between two days, it might be doable (some hustle may be involved). This past weekend I taught a Mini Mixed Media Cards workshop at Studio Place Arts in Barre, VT. This workshop was a condensed version of a workshop I’ve taught before. My students had to keep up with a faster pace and they did a great job! We started with a discussion of different methods of attachment – eyelets, roller adhesive, ribbon, etc. Next, we worked on a simple method of image transfer – the trusted blender pen. It may be stinky, but it works so well. We moved on to carving rubber stamps by hand. 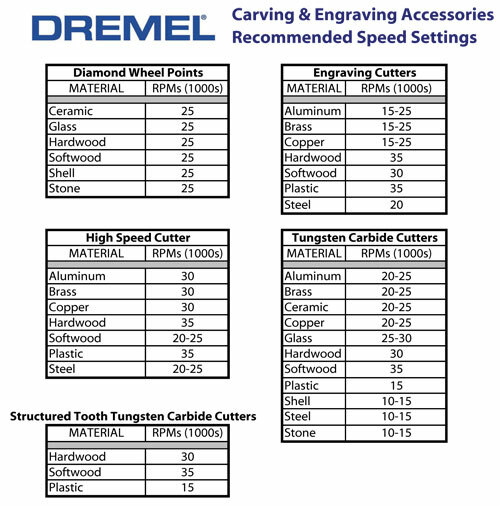 It takes some time to get the hang of carving technique (you don’t want to direct the carving tools towards your hand while you work). One of my class rules is that no one bleeds – thankfully, this is a rule that folks seem eager to follow. I shared some stamping tips, such as coloring directly on a stamp with water-based markers. We also talked about the properties of dye and pigment-based stamp pads. We then worked on three different pop-up techniques. My favorite of the three is the spiral – it’s so easy to execute, yet it looks complex. Lastly, there was a brief discussion of collage – how to work with color, pattern, texture, and shape. I brought a ton of materials and tools for the students to play with – fibers, handmade papers, laser vellum, recycled papers, embossing powders, and decorative scissors. At the end of the workshop, there was some free time for people to experiment with the different techniques they had learned. I appreciate having the opportunity to see how folks progress at this point. It’s the art therapist in me that loves it – process work is so fascinating. At this time, I’m a bit stumped for a storyline for this week’s Improv book. I’m not too worried because it’s still early in the week. I decided to start off by carving a rubber stamp of a porcupine. This was a fun stamp to work on, although it had a lot of fine detail. Quills are hard! In the images below you can see how the stamp progressed through the carving process. Here’s the final stamp. I’m pretty proud of this one. I’m not sure how (or if) I’ll use it in the final book, but it’s a start. I’m debating whether or not to make a Nutella stamp, but I think I need a specific purpose for it first. Come back on Saturday to see how it all comes together! I have to admit that I’m pretty darn stumped with this week’s combination of creative inspirations. I’ve done some research (mostly on Godzilla) and pinned some things to my Improv Pinterest board, but nothing seems to be gelling yet. Okay, so maybe I do have the spark of something, but it seems so small that I can’t tell if it’s going to go anywhere – The Psychology of Godzilla. Oh, and I did some rubber stamp carving. I love the idea of Godzilla wearing Hawaiian shirts, so I carved a hibiscus flower. I swear – by Saturday, it will work. Today I started working on this week’s Improv book and I’ve created a Pinterest board to share my inspirations thus far. I began by searching for images of stone sculptures and was immediately taken by the amazing work of Jiyuseki (Hirotoshi Itoh). He creates fantastic pieces that incorporate zippers (and teeth!) in the stone. His work was a wonderful discovery, but I don’t believe that this week’s book will be influenced by it. I then moved on to cairns. As a fan of hiking in National Parks, I’ve always loved the stone sculptures that are created to help guide you as you travel. This is something that seems to be sticking with me as a solid concept. I like the idea of incorporating collage into this book and found myself drawn to the papers below (used in the cairn collage above). Then I spent some time looking at different booths – diner booths, craft show booths, even John Wilkes Booth (that was my hubby’s suggestion). I don’t yet know what of my writing will make its way into the final book. I also don’t know what structure to use. I went through Alisa Golden’s Making Handmade Books: 100+ Bindings, Structures & Forms in hopes of being struck by something, but I’m not there yet. You’ll just have to wait until Saturday to see happens! Over the weekend I attended the opening reception for Celebrate, Studio Place Arts‘ annual member show. There are more than 75 member artists participating and I am thrilled to count myself among them. The reception was full of folks admiring out the local artwork. My hubby was kind enough to take some pictures of my work on display while I was busy yakking and cramming cheese in my face. The show is definitely worth a visit if you’re in the Barre area. The show is on all 3 floors of the SPA gallery and includes a wide variety of one-of-a-kind gifts. I bought a handmade something that will be a holiday gift for someone I won’t mention. The show is open now through December 27th – gallery hours vary by day, so visit the SPA website to see the open hours.